With over 30 years of experience in sales, repairs and installations of clotheslines, AustWest Clotheslines Victoria Park is a proud retailer of Vuly Trampolines. Although AustWest Clotheslines Victoria Park specifically specialises in clotheslines, they also sell a wide range of letterboxes, children's swingsets and now, our full range of high-quality backyard trampoline products and accessories. 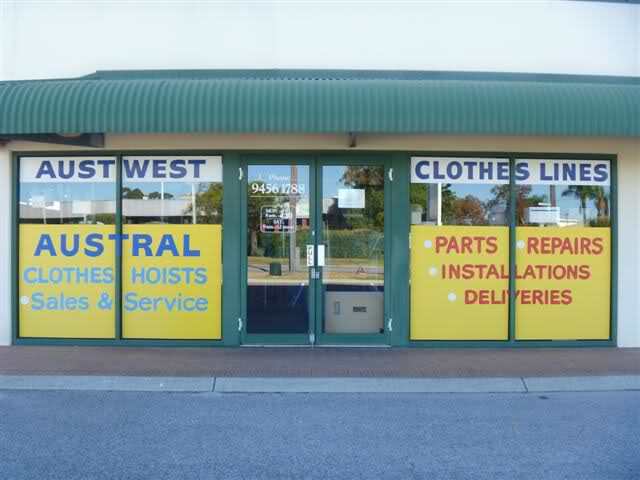 The main office and showroom of this family owned and operated company is located on Vulcan Road in Canning Vale, Perth. Victoria Park, which is the suburb where AustWest Clotheslines is located, is just an easy 10 minute drive to the CBD and Perth Airport via the Eastern Distributor. A close walk to public transport services and a comfortable walk to the new Green Square Railway Station, AustWest Clotheslines is easily accessible.